Sacramento facility managers face increasing challenges when being told to reduce their Sacramento, California facility maintenance cost. They’re expected to also increase their overall efficiency while improving the quality of service at their locations. Attempting to manage these various elements internally will exhaust any staff member which could prevent managers from meeting parent-company goals. 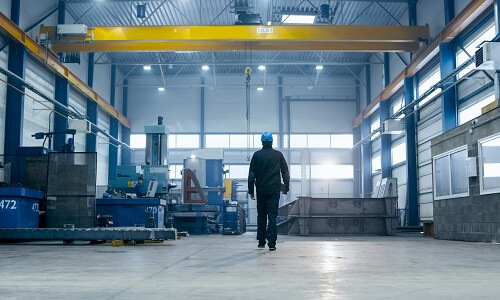 Outsourcing facilities maintenance to someone who knows what to look for and how to affordably resolve issues is just the forward-thinking solution your Sacramento company needs. Monster Contractor Facility Maintenance in Sacramento is your ideal partner. Offering reliable and quality facilities maintenance in the greater Sacramento, California area, Monster Contractor aims to maintain the efficiency, performance, and value of your facility. As a full-service Sacramento facility maintenance leader, we have the experience and knowledge to custom-tailor a solution for you that meets your goal of keep your Sacramento facilities running smoothly. We can offer services for your greater Sacramento area facilities, or regionally, depending on your needs. Monster Contractor’s Facilities Maintenance welcomes the opportunity for partnership with your company to assist with your Sacramento facilities maintenance needs. Understanding your company’s goals is the first step in our providing you with custom solutions. Our Facilities maintenance services include maintenance of structures, equipment, utilities, electrical and mechanical systems. Our Sacramento services are provided in the timely manner to ensure that your facilities operate as securely, safely and cost-efficiently as possible. We make every effort to enhance the overall appearance of your Sacramento facilities while remaining as cost-effective as we can. Monster Contractor Facility Maintenance Services are provided using multiple Sacramento teams including carpenters, plumbers, HVAC systems mechanics, electricians, and painters. Our Sacramento building maintenance staff will coordinate our crews according to the maintenance activities at each of your locations. Our general workforce team members’ skills consist of carpentry, building, painting, welding & sheet metal, plumbing, HVAC and electrical. We understand that effectively managing your Sacramento facility’s maintenance requirements is challenging. With this in mind, Monster Contractor Facility Maintenance of Sacramento offers a basic a la carte service list to cover most of your business facilities and operations tasks. Our services are available as package or individual services for easy integration into your maintenance solutions. We also understand that each of our Sacramento clients has very different specific needs varying from facility to facility when it comes to regular and urgent maintenance and we are happy to bid special projects at your request. The flexibility and comprehensiveness of our approach to Sacramento facilities maintenance provides emergency repair service, on-demand repair service, scheduled maintenance service, and long-term maintenance service contracts. Each building owner and property manager knows how important maintaining their facilities is to maintaining income, especially when handling breakdowns. Sacramento area buildings are full of potential malfunction issues that can start to run down your property value and income reliability. It can become a never-ending list of tasks that are difficult to stay ahead of, especially on days when your property or facility manager is already busy beyond their capacities or is out ill. Effectively managing small or large issues becomes easier for Sacramento building and facility managers when they work with Monster Contractor. We are the best resource for relieving your already overburdened property manager for both standard needs and those rare building headaches. At Monster Contractor we’re here to provide all your company’s general repair needs from electrical to painting; from rehanging doors to fixing overflowing toilets; from retail to industrial. Our greatest strength is our flexibility. You will appreciate on our single point of contact and technicians who are properly trained and prepared for all aspects of your facilities maintenance, and for professional interaction with your Sacramento occupants. We provide the most honest and skilled crews who each take pride in their individual work and in their contribution to the team. When it comes to our work in facilities maintenance Sacramento, we have an ownership mentality, meaning we perform each task the way we would if we owned the property. Facility Maintenance Sacramento CA refers to the management of all the services required to provide support services to an organization or to any residence. It involves electrical to plumbing to roofing repair and much more. When everything is right and beautiful it means, Facility Maintenance Sacramento services are been looked after. The work of facility managers is very difficult as they have to look out for a problem and then find solutions which can be easily implemented. Facility Maintenance Sacramento can be nicely done if it is implemented in the right manner. Facility Maintenance Sacramento CA basically includes services which help the organization or any residence to work effectively and efficiently like mechanical and electrical systems, maintaining of structure, equipment, utilities, etc. 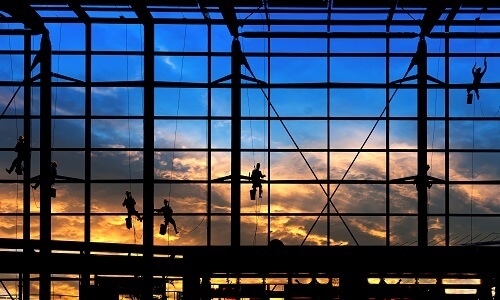 Facility managers need to ensure that these activities are done at a reasonable Facility Maintenance Sacramento Cost without compromising the quality of work. For this, there are 6 teams with us which provide these Facility Maintenance Sacramento CA services like building operations and its maintenance, plumbers, electricians, HVAC System, painters and carpenters, and mechanics. We, at Monster Contractor, offer the Best Facility Maintenance Sacramento to organizations that are ready to outsource the Sacramento Facility Maintenance work. Increasing the quality of work as well as keeping the Sacramento Facility Maintenance cost low is quite a difficult task. Facility Managers of an organization face these problems on a regular basis, but the best Facility Maintenance Company in Sacramento CA will figure out a solution in no time. That is what Monster Contractor, as a Sacramento Facility Maintenance company does. Facility Maintenance Cost in Sacramento is quite high and so we make sure that all the work is done in an efficient manner without wasting any resource and that it is cost efficient too. We are the leading Sacramento Facility Maintenance company and carry on the experience of many years in this field. We are capable of customizing the solution according to the needs of the customers because we care for them. The Best Facility Maintenance Sacramento at Monster Contractor. We, Monster contractor, welcome any opportunity of working with your company and assisting you to perform better. You can rely on us for Facility Maintenance services Sacramento CA as our Facility Maintenance Company in Sacramento CA has a team of skilled personnel who are expert in carpentry, painting, building, sheet metal & welding, HVAC, electrical crafts, and plumbing. We have 6 efficient teams to perform the Sacramento Facility Maintenance services; these are Plumbers, Building Maintenance and Operations, Electricians, Painters Carpenters and HVAC Systems Mechanics. Our Facility Maintenance Company in Sacramento CA can custom build the solution for your company depending on your preferences and requirements. The entire core Facility Maintenance services Sacramento CA will be covered by us with proper safety and precautions. Why should you hire Monster Contractor as the best Facility Maintenance Company in Sacramento CA? It is very important to hire a company which offers the best Sacramento Facility Maintenance services at the best Sacramento Facility Maintenance Cost. We assure you that our Facility Maintenance services Sacramento CA will help your company operate trouble-free. While working we keep in mind the needs of the clients and work accordingly. We are the leading company, providing the Best Facility Maintenance Sacramento services to big organizations. Our Sacramento Facility Maintenance company consists of a highly professional team of skilled workers who are passionate towards their job. We make sure that the Sacramento Facility Maintenance Cost offered by us is economical. We offer all core Sacramento Facility Maintenance services like painting, general building repair, welding, plumbing, leakage repair, maintenance of building safety and security alarms etc. 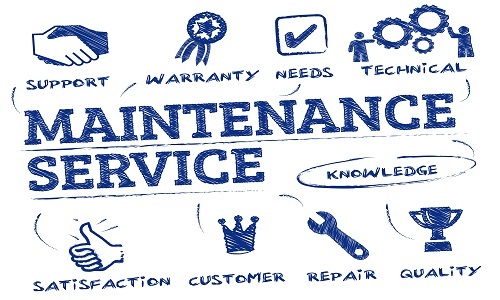 We, the Best Facility Maintenance Sacramento offer emergency repair service, scheduled maintenance service, demand repair service and long-term maintenance service as per the contract. Our Facility Maintenance Cost in Sacramento is comparatively low considering our competitors and our services are unmatchable. Contact us for our assistance: For any assistance relating to Facility Maintenance services, you can contact us at our number (916) 550-438. The Facility Maintenance Cost in Sacramento offered by us is quite reasonable.